1. When solar energy is available and heat is not required in the building, solar energy is added to storage. 2. When solar energy is available and heat is required in the building, solar energy is used to supply the building load demand. 3. When solar energy is not available, heat is required in the building, and the storage unit has stored energy, the stored energy is used to supply the building load demand. 4. When solar energy is not available, heat is required in the building, and the storage unit has been depleted, auxiliary energy is used to supply the building load demand. 5. When the storage unit is fully heated, there are no loads to meet, and the collector is absorbing heat, solar energy is discarded. This last mode is achieved through the operation of pressure relief valves, or in the case of air collectors where the stagnant temperature is not detrimental to the collector materials, the flow of air is turned off; thus the collector temperature rises until the absorbed energy is dissipated by thermal losses. 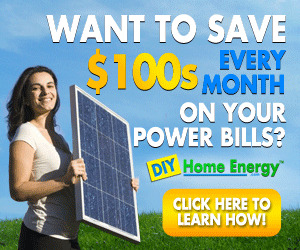 In addition to the operation modes just outlined, the solar energy system is usually used to provide domestic hot water. These modes are usually controlled by thermostats. So, depending on the load of each service, heating, cooling, or hot water, the thermostat that is not satisfied gives a signal to operate a pump, provided that the collector temperature is higher than that of storage, as explained in Chapter 5, Section 5.5. Therefore, by using the thermostats, it is possible to combine modes and operate in more than one mode at a time. Some systems do not allow direct heating from a solar collector to heat the building but always transfer heat from collector to storage, whenever this is available, and from storage to load, whenever this is needed. In Europe, solar heating systems for combined space and water heating are known as combisystems, and the storage tanks of these systems are called com-bistores. Many of these combistore tanks have one or more heat exchangers immersed directly in the storage fluid. The immersed heat exchangers are used for various functions, including charging via solar collectors or a boiler and discharging for domestic hot water and space heating uses. For combisystems, the heat store is the key component, since it is used as short-term storage for solar energy and as buffer storage for the fuel or wood boiler. The storage medium used in solar combistores is usually the water of the space heating loop and not the tap water used in conventional solar domestic hot water stores. The tap water is heated on demand by passing through a heat exchanger, which can be placed either inside or outside the tank containing the water of the heating loop. When the heat exchanger is in direct contact with the storage medium, the maximum tap water temperature at the start of the draw-off is similar to the temperature of the water inside the store. The tap water volume inside the heat exchanger can vary from a few liters for immersed heat exchangers to several hundred liters for tank-in-tank stores. Three typical combistores are shown in Figure 6.10. In the first, shown in Figure 6.10a, an immersed heat exchanger is used, mounted on the whole inside surface of the mantle and top of the store. In the second store, shown in Figure 6.10b, the preparation of hot water is based on a natural circulation (thermosiphon-ing) heat exchanger, which is mounted in the upper part of the store. The third one, shown in Figure 6.10c, is the tank-in-tank case, where a conical hot water tank is placed inside the main tank, as shown, its bottom part reaching nearly the bottom of the store. Typical tap water volumes in heat exchanger are 15, 10, and 150-200 L for the three tanks, respectively (Druck and Hahne, 1998). FIGURE 6.10 (a) Immersed heat exchanger, (b) natural circulation heat exchanger, (c) tank-in-tank (adapted from Druck and Hahne, 1998). of freezing conditions at the site of interest. Generally speaking, the designer must be aware that the presence of a heat exchanger in a system imposes a penalty of 5-10% in the effective energy delivered to the system. This is usually translated as an extra percentage of collector area to allow the system to deliver the same quantity of energy as a system with no heat exchanger. Another important parameter to consider is the time matching of the load and solar energy input. Over the annual seasonal cycle, energy requirements of a building are not constant. For the Northern Hemisphere, heating requirements start around October, the maximum heating load is during January or February, and the heating season ends around the end of April. Depending on the latitude, cooling requirements start in May, the maximum is about the end of July, and the cooling season ends around the end of September. The domestic hot water requirements are almost constant, with small variations due to variations in water supply temperature. Although it is possible to design a system that could cover the total thermal load requirements of a building, a very large collector area and storage would be required. Therefore, such a system would not be economically viable, because the system would be oversized for most of the year, i.e., it will collect energy that it could not use for most of the time. As can be understood from above, the load is not constant and varies throughout the year and a space heating system could be inoperative during many months of the year, which could create overheating problems in the solar collectors during summertime. To avoid this problem, a solar space heating system needs to be combined with solar space cooling so as to utilize fully the solar system throughout the year. 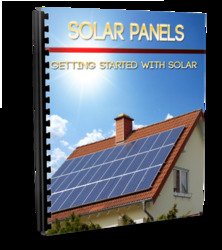 Solar heating systems are examined in this section, whereas solar cooling systems are examined in Section 6.4. A space heating system can use either air or liquid collectors, but the energy delivery system may use the same medium or a different one. Usually air systems use air for the collection, storage, and delivery system; but liquid systems may use water or water plus antifreeze solution for the collection circuit, water for storage, and water (e.g., a floor heating system) or air (e.g., a water-to-air heat exchanger and air handling unit) for the heat delivery. Many variations of systems are used for both solar space heating and service hot water production. The basic configuration is similar to the solar water heating systems outlined in Sections 5.2.1-5.2.3. When used for both space and hot water production, this system allows independent control of the solar collector-storage and storage-auxiliary-load loops because solar-heated water can be added to storage at the same time that hot water is removed from storage to meet building loads. Usually, a bypass is provided around the storage tank to avoid heating the storage tank, which can be of considerable size, with auxiliary energy. This is examined in more detail in Section 6.3.3.